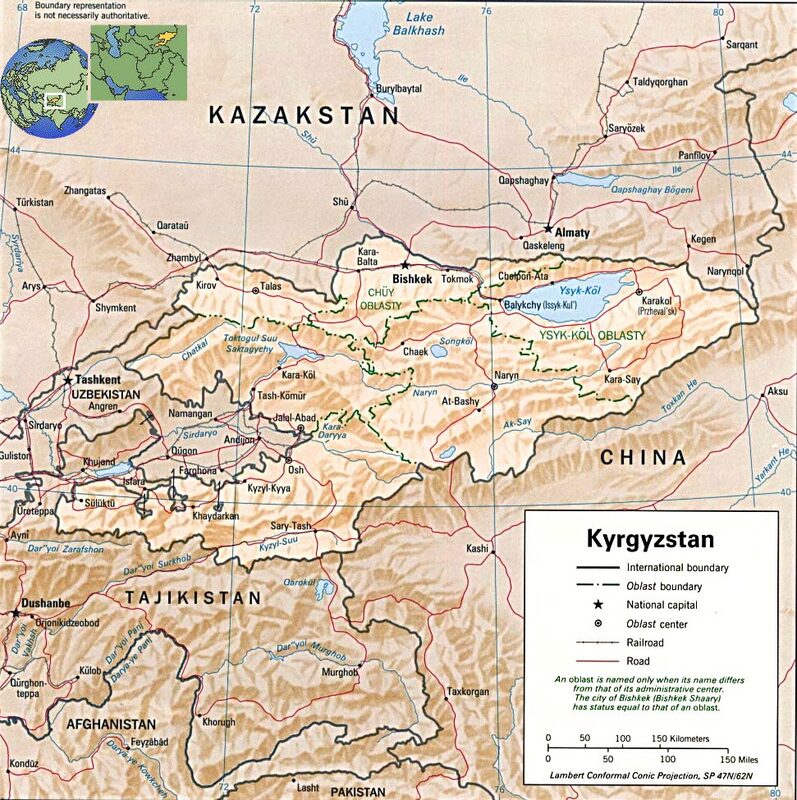 Chuy Oblast, Bishkek, Tokmok and Ysysk-Kol. At-Bashy, Chatkal and Kara-Kol. Border with China.